How can I edit the Email Templates? HOME > SETUP AREA > How can I edit the Email Templates? The hotel has a few email templates which are sent to Guests automatically. The content of these emails can be edited and translated. STEP 1: First you need to go to SETUP > EMAIL TEMPLATES. STEP 2: In this area select the Email that you wish to edit, double click on it to open, or select the email and click on Open button at the top. Available for use: Flag or unflag this option, to activate or deactivate the email template. By default all email templates are active. Active Messenger: Flag or unflag this option, to activate or deactivate the GuestCentric Hotel Messenger. The hotel can receive requests or questions from their guests, regarding their bookings, through the GuestCentric Hotel Messenger. 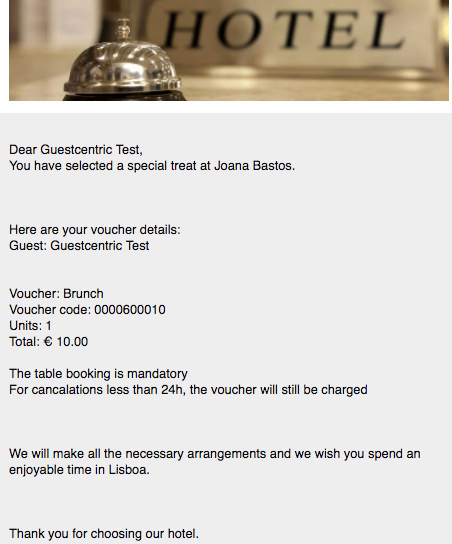 To help you with the tool, please check the following e-card: How to use the GuestCentric Hotel Messenger? STEP 4: In this area, the Hotel will be able to define other email accounts to also start receiving email notifications whenever an action takes place regarding a reservation and/or a contact. To help you with this tool, please check the following e-card with the step by step: How can I get email notifications in several email accounts? Please bear in mind that the information inside the square brackets e.g. 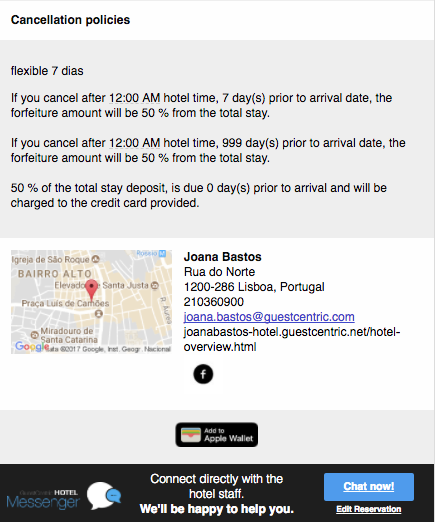 [[bookingnumber]] shouldn't be deleted because this information is inserted by default with the reservation's data. Header has a Tiny MCE which allows the hotel to insert content in bolt, italic, links, PDFs and Images. Reservation Confirmation, Reservation Reconfirmation and Reservation Offer emails. STEP 6: Make sure you save all the information entered by clicking on the button. How Can I edit my "Pre-stay email"? 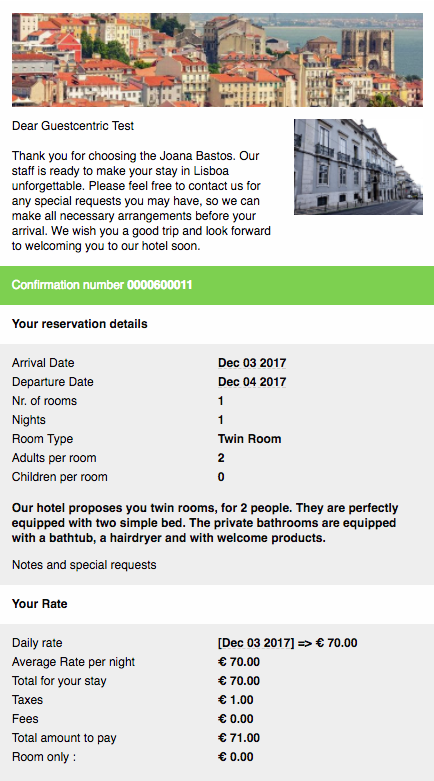 This email is sent for every reservation made (on the backend/ website/ mobile) 48 hours before the check-in date and besides the usual information it includes also a weather forecast - always for only 3 days. This email is not sent for reservations from the channels. PDF Vouchers come without the Voucher's price, so that they can be bought for a purpose of being a gift.